The Latest Beauty Launches & Offers. 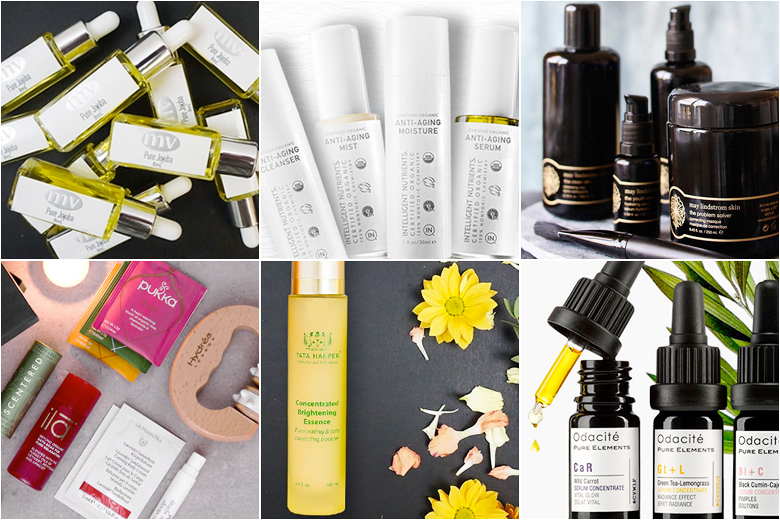 There's a lot happening in the natural beauty market lately, plenty of new launches, great deals and offers plus... CHRISTMAS. Hang tight on the festive cheer though because I have a special gift guide coming up some time next week. Spend £30 on MV Organic Skincare and receive a deluxe sample of their Jojoba oil. A lot of this range is pricey, but I've only ever heard good things. You don't have to spend a fortune, though, their Gentle Cream Cleanser is £34 and the Purifying and Balancing mask is £33. Spend £60 on wellbeing products and receive a free travel sized Alchemy Super Blends Elixir (a superfood powder). Stock up on winter supplements, a candle or two and a gorgeous mantraband and £60 is gone before you know it, may as well get something free from it too, plus those Alchemy blends look amazing. The RMS Beauty Makeup Remover wipes have recently landed, too. Pick up a box of 20 for £13 or try them out first at 75p per wipe. These wipes are simply infused with pure coconut oil and nothing else, pretty unique! The great value De-stress & Unwind box is still available, priced at just £9.95 and worth £28 you get a whole host of calming treats for a great pamper session, including a body massage tool and therapy balm. Spend just £35 on Intelligent Nutrients and get a skincare set worth £70! This is one of the best offers I've seen in ages. Enter code "Journey" at checkout. Save 15% on your order until midnight TONIGHT with the code "spooky". Lola's Apothecary has just launched on the site, for now with just two lovely gift sets. The Bathing Rituals Travel Set is £35 and quite dreamy. Looking to try Aurelia Probiotic Skincare? You're in luck because their newest travel kit The Jet Set Weekender is priced at £10 and contains 5 skincare samples and a muslin cloth. Spend £35 on Odacite and receive a problem solving sample trio of Pa + G, Bl + C and Jo + L.
Spend £50 on Dr. Jackson Skincare and get a free 25ml 03 Face Oil worth £30! I haven't tried this brand but you can pick up the face and eye essence (a cooling gel) for £60 or the Body Perfecting Gel for £50. Get 10% off of vegan brands to celebrate world vegan day with the code "Vegan10" They have brands like Dr. Hauschka, Herbfarmacy, Inika and Hurraw. Ends tomorrow. Get 15% off of all John Masters Organics with the code "JMO15" Ends tonight. They also have a TONNE of gift with purchase offers, find them all here, including brands like Odylique, Rahua and Bee Good. Try the entire May Lindstrom line for £22, including the Blue Cocoon with this sample box offer, and receive your £22 back as credit towards a purchase of a full size! Alyaka is also the only stockist in the UK of Odacite's private collection serums, including A Spring In Tokyo and A Winter In Paris.